Rocky Mountain PBS joined some of the top journalism organizations in the nation when it received an Alfred I. duPont-Columbia University Award this year. The RMPBS investigative documentary program “Insight with John Ferrugia” stood along Ken Burns’ “Vietnam,” CNN Films’ “RBG,” and journalism icons such as 60 Minutes, Frontline and HBO. 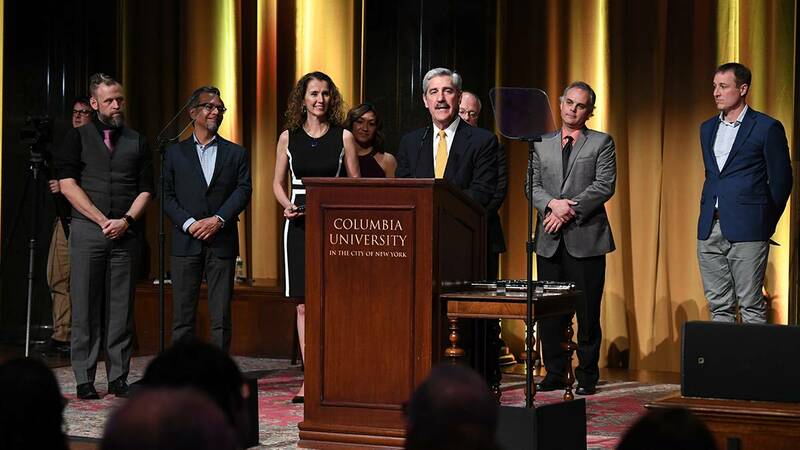 The RMPBS Insight with John Ferrugia team received the duPont-Columbia Award on Jan. 22, 2019. Every year about a dozen news stories and films are honored with a duPont­ Baton for the strength of their reporting, storytelling and impact in the public interest. The work is judged on how well it demonstrates consistent high quality over time, with accurate and fair reporting. Watch the entire duPont-Columbia awards ceremony, with excerpts of journalism from all 16 winners. Amanda Mountain, RMPBS president and CEO, noted that this was the organization’s first duPont in its more than 60-year history. The “Insight” program received the award in only its second season on the air. 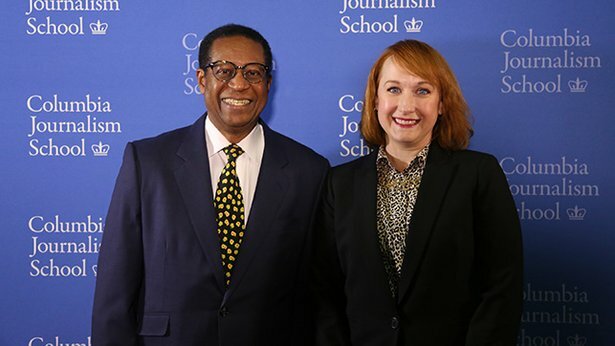 Rocky Mountain Public Media CEO Amanda Mountain and Hubert Farbes, chairman of the RMPM board of directors, attended the duPont-Columbia awards ceremony in New York City on Jan. 22, 2019. “Insight’s” winning entry, “Imminent Danger,” is a special investigation on mental health and “red flag” laws that allow a judge to temporarily remove a mentally ill person’s fire arms until mental health is restored. When it first aired on RMPBS in April 2018, the “Imminent Danger” program generated public conversation and was shown during a bipartisan state legislative hearing to inform the dialogue around an impending red flag bill. Developed over a year, the investigation included exclusive interviews with the mother of a mentally ill man who killed a sheriff’s deputy, as well as the parents of Aurora theater shooter James Holmes.